How about carrots for losing unwanted weight? Carrots are great diet food. They are low in calories and their nutrients can help you to lose weight. Let’s discuss five carrot recipes that will promote weight loss. This salad will be a big help in your daily struggles to lose weight. It is rich in mono- saturated fats, which can prevent the expression of certain fat genes. It can be very helpful if you don’t want to add fat around your abdomen. 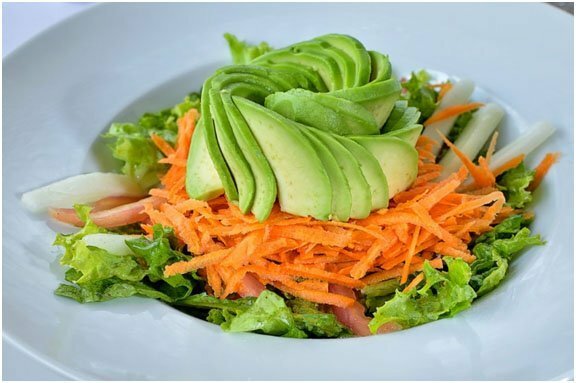 Salad: Small avocados and Arugula. Serve with arugula strewn on the top. Add salt and pepper as required. For detoxing your body, this carrot-pineapple smoothie is hard to beat. Citrus fruits contain natural fiber and they flush retained water from your body. They also facilitate the process of removing toxins from your body. 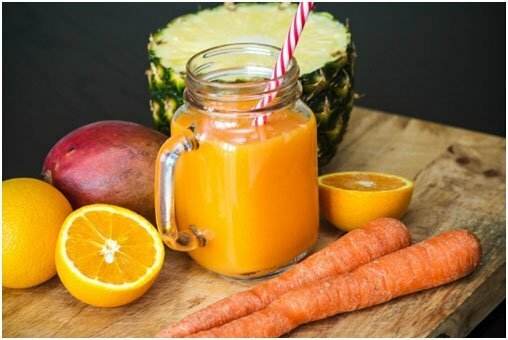 This smoothie is rich in Vitamin A, potassium & Vitamin C.
Required ingredients: baby carrots, orange juice, bananas, and pineapple. You will get a rich orange color smoothie. This Asian recipe is delicious, sweet and gluten free. 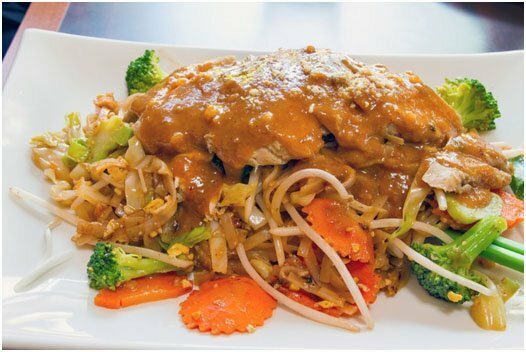 Enjoy these carrot noodles for dinner tonight! Noodles: Coconut oil, red onion, red pepper, carrots in the shape of noodles, bean sprout, cilantro. Heat the coconut oil in a non-stick pan. When you see heat rising from the pan, add tofu. Gently shake the pan for 30 seconds. Cook tofu for 5 minutes. Remove it from the pan and put soy sauce. Heat the coconut oil in a non-stick pan. Add onions and cook for 3-4 minutes. Add red pepper and carrots to it with ¼ cup of water. Cover it with a lid and allow it to cook. Add sprouts and peanut sauce. Mix and pour tofu and cilantro. Enjoy it with peanuts. Nutrients present in this soup help your body fight heart disease, asthma, and weight gain. It further promotes healthy vision and skin. Garlic bread: garlic bread, unsalted butter, garlic, basil and parmesan cheese. Enjoy garlic bread with soup. This is a 5- minute recipe, great as a snack between meals, or even a light lunch on a hot summer day. You just need some carrots stored in your refrigerator. You might be thinking how to store carrots? First, remove green tops from carrots. Place them in water and simply store in the refrigerator. Nutritional profile: It provides 90 calories, 2 g fiber, and 1 g protein. In a preheated oven, roast carrots with olive oil, garlic, thyme and balsamic vinegar. Add salt and pepper as required. Bake it for 35-40 minutes. Enjoy it with parsley. 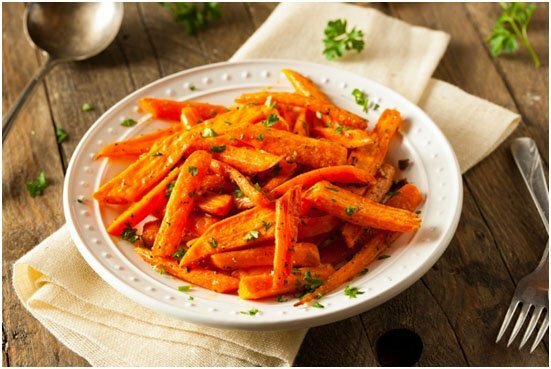 These carrot recipes maintain insulin sensitivity. It makes easier to lose weight. For further reading, here are some helpful everyday weight loss tips that might help you to lose weight. 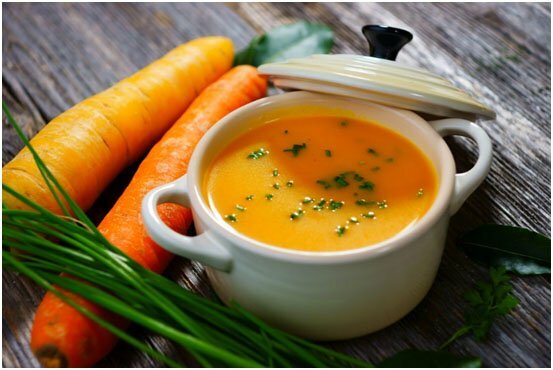 In any case, carrots can be a potent weapon in having an obesity-free, healthy life and we hope these recipes help you to that goal.